There were more than 3,000 motorcycle accidents in Arizona during 2016 according to the Arizona Department of Transportation. Most motorcycle accidents happen on a Saturday between 4:00 pm and 5:00 pm. They make up 4% of all fatalities on the road. If you or someone you love is involved in a motorcycle accident in Phoenix, Arizona, make an appointment with an experienced personal injury lawyer who focuses on motorcycle accidents. Here are 6 facts you should know about motorcycle accidents in Phoenix, Arizona. These injuries can be extremely serious and result in a lifetime of challenges, permanent disability, and a need for long-term medical care. Mounting debt from unexpected medical bills can make it harder for you to get better because of the stress. 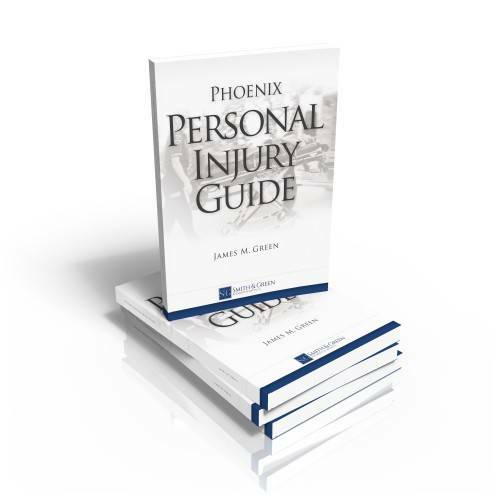 A Phoenix motorcycle accident lawyer will help negotiate with the insurance company or other driver. You can focus on getting better while your lawyer protects your legal rights. There’s a common misconception that motorcycle drivers are always at fault in an accident. This isn’t true. In fact, studies show that the majority of Phoenix motorcycle accidents are the fault of another driver. Failure to properly share the road, not checking mirrors, and failure to acknowledge a motorcyclist who has the legal right of way cause most accidents. Arizona DOT’s study shows that more than half of motorcycle accidents involved no improper action on the part of the motorcyclist. Intersections should be safe places for all vehicles. They exist to help control the flow of traffic from each direction. However, Phoenix motorcyclists must understand that half of all motorcycle accidents take place at an intersection. While all vehicle drivers should pay attention to who they’re sharing the road with, it often falls to the motorcyclist to be ever vigilant to protect their own well-being. Pay attention to parked vehicles, shrubbery, buildings, large trees, bushes, and other items that could make it hard for you to gauge the safety of an intersection. Always wear the proper safety equipment to protect yourself in the event of an accident. Although Arizona law states that a helmet is only required for riders under the age of 18, it is an important piece of safety equipment. It can reduce your risk of death if you’re involved in a Phoenix motorcycle accident. According to the NHTSA, helmets reduce the risk of death by 37%. Additionally, wearing a helmet doesn’t substantially reduce your field of vision. The NHTSA states that it impedes less than 3% of your field of vision. Sadly, less than 10% of motorcyclists have enough insurance to cover the damage to their motorcycle and to cover their injuries. Many believe that filing a claim with the driver of the other vehicle is enough and that they will be treated fairly. Unfortunately, insurance companies don’t always treat motorcycle accident victims fairly. If you’re in an accident, it is likely in your best interest to talk with a Phoenix motorcycle accident lawyer to make sure that your legal rights are protected.